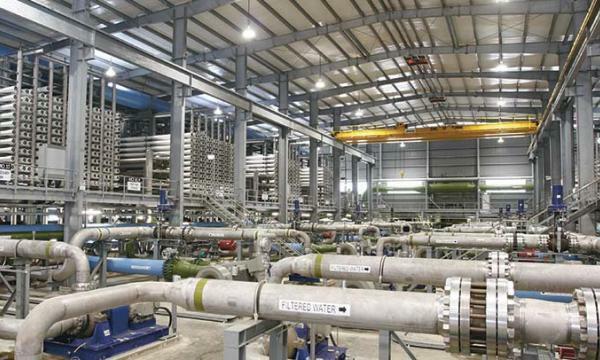 Tuaspring struggled to keep the plant ‘reliably operational’ to deliver the required desalinated water. The Public Utilities Board (PUB) has issued a default notice to the subsidiary of debt-ridden Hyflux and warns that it may take control of the plant if the firm fails to fulfil its contractual obligations. Tuaspring received a notice from the national water agency in March 5 noting defaults under the Water Purchase Agreement (WPA) entered into between PUB and the water plant in April 6, 2011, according to an SGX statement. Under the 2011 deal, Tuaspring is required to deliver up to 70 million gallons of desalinated water per day to PUB from 2013-2038. However, PUB notes that Tuaspring has failed to keep the plant reliably operational to meet its obligations. The WPA provides a default cure period of 30 days from March 6, 2019 until April 5, 2019 or such longer period as may be reasonable for Tuaspring to consult with PUB to mitigate the consequences of defaults. Once the default cure period ends and breaches remain unresolved, PUB has the discretion terminate the WPA by giving written notice of not less than 30 days to Tuaspring. However, the termination of the WPA could threaten the carefully constructed restructuring agreement it managed to ink with SM Investments, Hyflux said in a statement. Under the agreement, a termination of the WPA may entitle the investor to withdraw from the deal that proposes that SM investments invest $530m in exchange for a 60% stake in Hyflux. The embattled treatment treatment firm has been attempting to dispose of Tuaspring desalination plant which has been hammered hard by depressed electricity prices in Singapore. In its financial statement ending September 30, 2018, the company reported a $916m impairment loss due to the assessment of the carrying value of Tuaspring and other projects to book a net loss of $1.1b.